Do you find yourself correcting comments posted to Internet drifting videos? Can you cite lists of reasons why the JDM is superior to the USDM? Do you idolize Yutaka Katayama? If you answered yes to any of these questions, then have I got a video for you. /DRIVE’s Mike Spinelli sat down with author and JapaneseNostalgicCar.com website manager Ben Hsu to discuss some of the most famous automobiles from the Land of the Rising Sun in this extended video recently posted to YouTube. It’s nearly 25 minutes of unadulterated nerdisms, and should satisfy even the most pedantic of keyboard trivia masters. Topics of discussion vary greatly, from the golden age of Japanese sports cars, the current interest in Japanese collectible cars (Gran Turismo, Skylines, and Z cars), and the influence of the Internet on spreading interest in Japanese sports cars like the Toyota AE86, the Mazda RX cars, Honda Type-Rs, and a lot, lot more. At this point, I think it’s safe to say that Japanese cars have outgrown old perceptions and really come into their own in terms of style and spirit. Like their American and European counterparts, certain Japanese models have transformed into much more than simple modes of transport, which is a sentiment that Spinelli and Hsu agree with: “We’ve got two generations now of kids that grew up with Japanese cars being more than just economy cars,” Spinelli says. “It’s only now that people who have the Internet can look at some of the older race footage, they’re really getting into it,” Hsu adds. The 2000GT was a limited-production FR two-door sports car produced between 1967 and 1970. Only 351 were created. 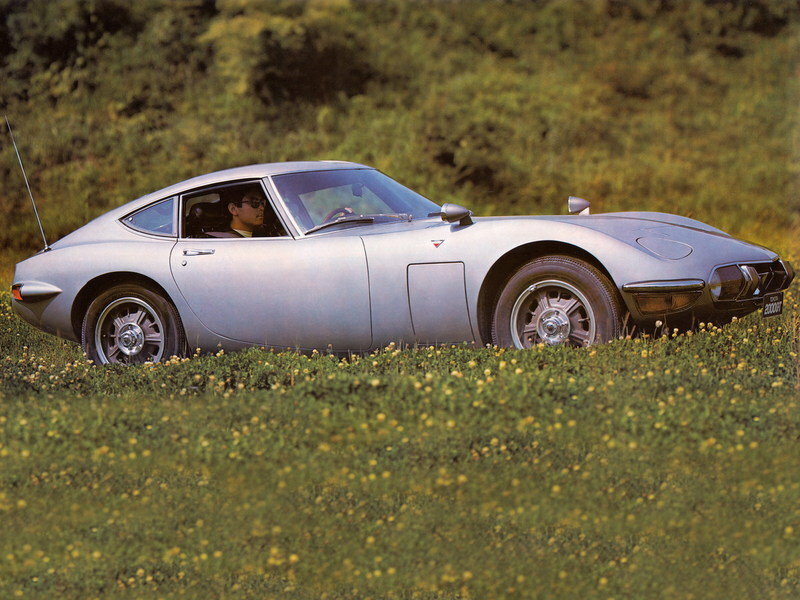 With gorgeous, voluptuous fastback styling, a powerful inline-six motor and a successful racing career, the 2000GT did much to change the world’s opinion of Japanese automobiles. Most were painted in either red or white. Only 60 examples were shipped to U.S. shores, and each originally sold for $6,800, which was comparable to high-end European sports cars of the time. As Toyota’s halo car, very little profit was made from sales. Now, however, well-maintained 2000GTs are selling for a premium at auction, and one model sold for $1.2 million.